NU’EST W’s (JR, Aron, Baekho, Ren) hi-touch and photo event has finally been canceled due to fans’ strong opposition. 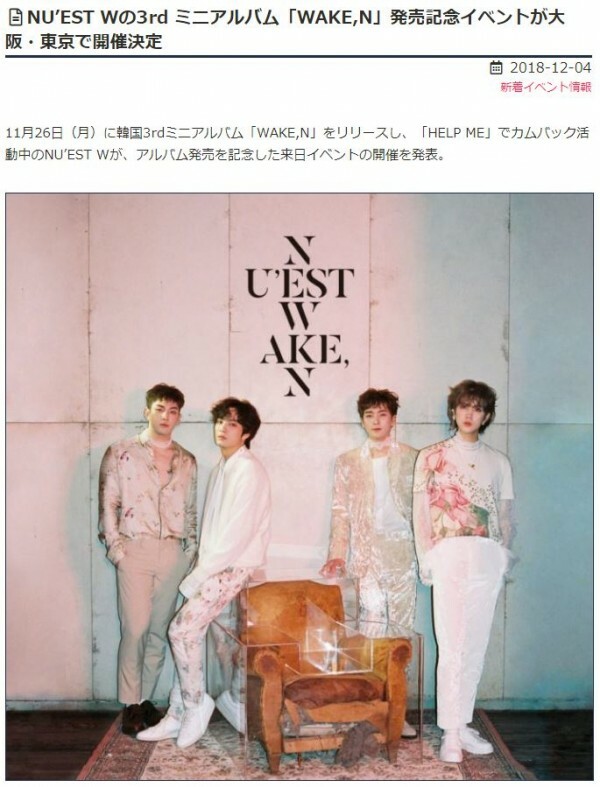 NU’EST W was originally scheduled to hold a hi-touch and photo event in Japan on December 19 to 20. Fans argued that the event last over 7 hours for 2 consecutive days which was a way too large event. 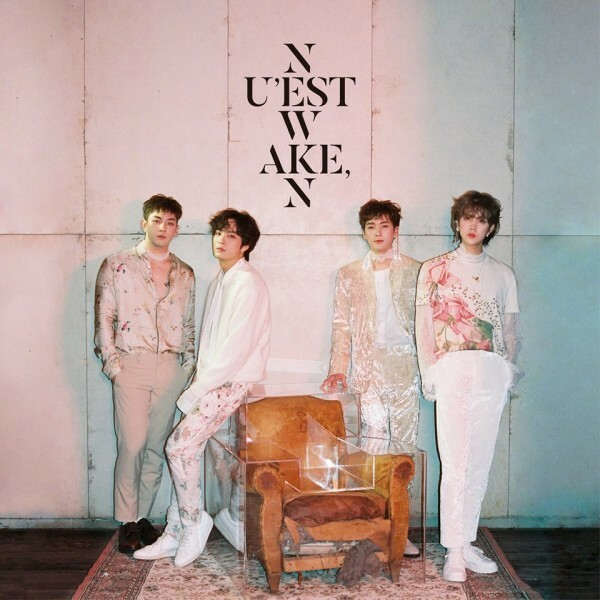 Also in the past, when NU’EST held similar events for promotional activities in Japan, members were said to be “abused” with too much skinship. 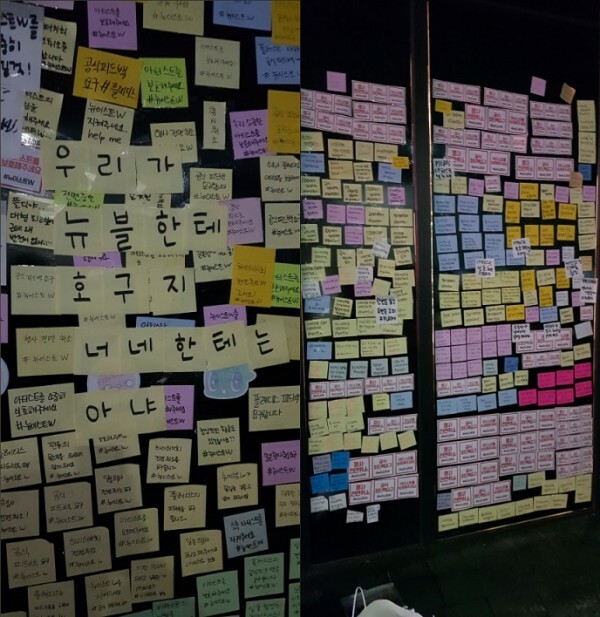 To protect members from repeating such an incident, fans went on a protest by covering Pledis Entertainment building with post-it notes, demanding cancellation of the event. In response to strong opposition from the fans, Pledis Entertainment finally made an official statement for the cancellation of the event. “Hello! This is Pledis Entertainment. 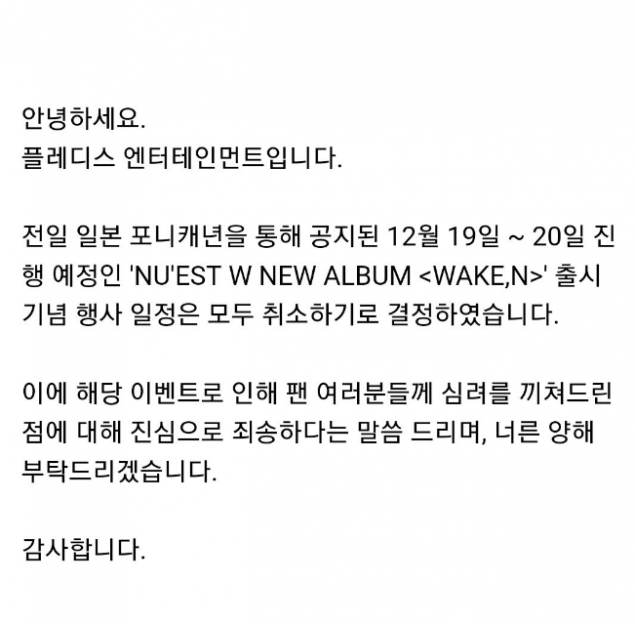 We have decided to cancel all events and schedule in celebrate of the release of ‘NU’EST W NEW ALBUM<WAKE,N> on Dec 19 to 20 previously announced. We apologize for causing any concerns regarding the event. We are here asking for your generous understanding. Following the cancelation announcement, fans returned to Pledis Entertainment building and retrieved all the post-it notes.